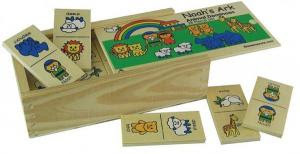 A fun way to share the story of Noah and the flood as children match the Noah's ark animals and learn the names of the animals. The aim of the game is to be the first to get rid of their tiles. Use at home, Sunday school classes, day care, and more.